Well, here we are. We have reached the final destination when it comes to the Road to the Dome. 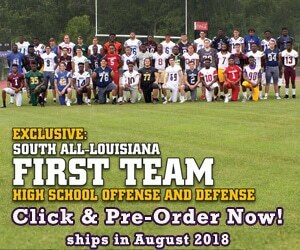 13 teams had one goal in mind and that goal is to be one of nine teams in the end holding a state championship trophy in the Mercedes-Benz Superdome with the Queen smash hit “We Are the Champions” playing in the background. Now, 11 teams’ seasons are over and there are only now only two teams standing. Both teams had a long journey to get to this point, but now, only one team will get the taste of sweet victory while the other team will suffer the agony of defeat. 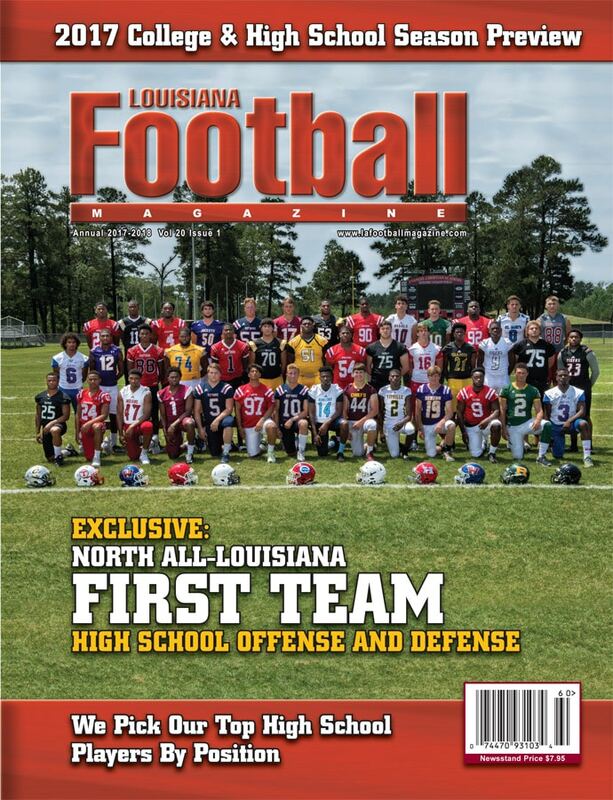 The Louisiana high school football stage does not get any brighter than this. A weekend filled with great championship matchups kicks off this Thursday and the games will conclude on Saturday. The first game tomorrow will be the Division I state championship game, which will feature the two of the best private 5A teams in the state. In this game, the John Curtis Patriots will face the Catholic High B.R. Bears. Both of these teams have shown that they have what it takes to win the state championship, but which of the two teams will be able to get the win in the end? 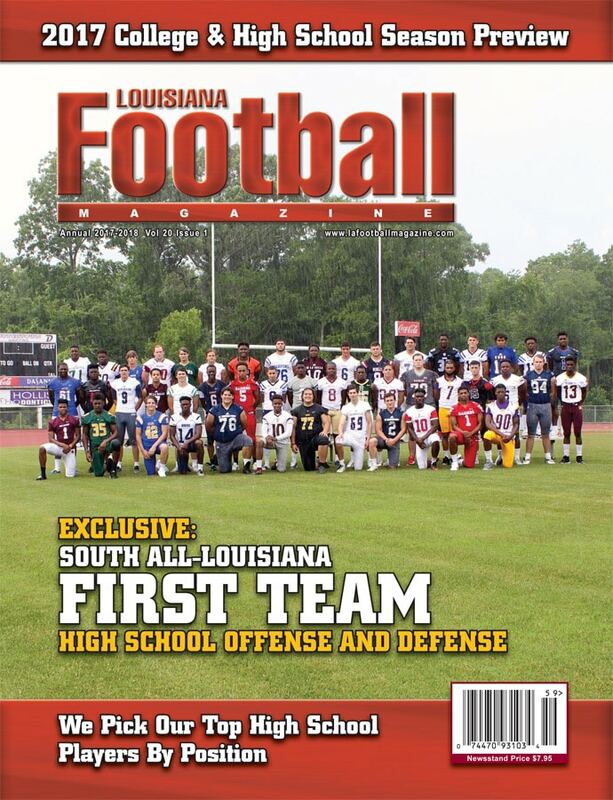 Well, Louisiana Football Magazine’s expert Lee Brecheen has seen all of these teams play and gives his insight on which team will win the Division I state championship. This week, we will get you all covered in what you need to know for the Division I state championship game. Game Info: Saturday, December 9th at 12:00 P.M.
John Curtis Team Preview: Once again, the John Curtis Patriots will be making another appearance in the Mercedes-Benz Superdome. However, it is actually been a little dry spell for the powerhouse Patriots that make annual trips to the Dome. Even though the Patriots have been the most dominant football program in state history, the Patriots have had a tough time getting to the Superdome over the last three seasons. The only time they have appeared in a state championship in the last three years was in 2014 when the Patriots lost to the Jesuit Blue Jays in the Division I state championship game. 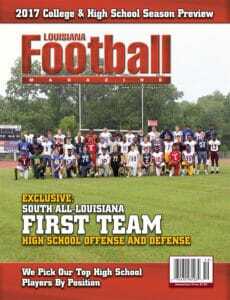 Still, you just cannot count out the winningest head coach in Louisiana football history in J.T. Curtis and the Patriots. Offensively, the Patriots still run their famous split back veer and have a four headed running attack in the run heavy offense with guys such as QB Collin Guggenheim, RB Darryan Washington, RB Ernest Jones, and RB Malik Wells. The quartet has combined to run over 2,000 yards and just to show how deep the Patriots’ backfield is the team’s leading rusher from a year ago Marquese Albert is not playing right now because of an injury suffered at the beginning of the season. There are definitely plenty of options to go to in the running game. The offensive line is very experienced and has played a huge part in the team’s success in the running game with veteran leaders such as OT Cade Bialock, C Gideon Daniels, and OG Rory Thompson. The Patriots do not throw the ball too often, but when they do, it can be really effective as Guggenheim has thrown for almost 1,000 yards and seven touchdown passes in the regular season. He will be looking for his two favorite targets in WR Tyrone Leggette as well as TE and LSU commit Glenn Beal. Defensively, the Patriots are as good as it gets when it comes to the secondary. Even though the Patriots lost current TCU defensive back Garret Wallow last season due to graduation, the backfield, as a whole, has been deeper. Defensive backs Cade Comeaux, Brandon Davis, Ryhen Gilmore, and Donald Clay all have the potential to play at the next level. This is a very good John Curtis team that is talented and well coached. Just like the current dynasties in Alabama in college football and the New England Patriots in the NFL, the John Curtis Patriots run like a well-oiled machine. If the Patriots win this football game, add a 27th state championship to the John Curtis trophy case. Catholic High’s Team Preview: This is all too familiar for Catholic High fans as this year’s team is a lot similar to the 2015 team that won the Division I state championship in 2015. This is a team that headed into the season losing their big time running back, struggled early in the season, found their rhythm towards late in the season, and found a way to defeat the heavily favored Evangel Christian Academy Eagles on their own turf. If you are a Catholic High fan, then you like the way this story is going to end. Even though both teams have had similar state championship runs, the man that is holding it all together has changed. For the 2015 state champions, it was the legendary head coach Dale Weiner that was leading the Bears to victory. Now, Weiner has retired from coaching at Catholic High last season and has given the reigns to his offensive coordinator Gabriel Fertitta. In his first season filling in the shoes of a head coach that has won over 300 games, Fertitta has exceeded expectations going to the state championship game. The Bears may have been more talented last season when they had players like Clyde Edwards-Helaire (LSU), who was mentioned earlier, Aaron Moffitt (LSU), Zack Tom (Wake Forest), Ben Miles (Nebraska), and Tre Square (Southern). However, this team has done a great job of playing together as a unit and making the plays when needed to make a run. The Bears have gotten to this position thanks to a dominant defense and great special teams play during this playoff run. In the three playoff games the Bears have played, they have outscored teams 65-9. After a 44-0 shutout win over Archbishop Shaw, they only held the St. Augustine Purple Knights to only three points in a 7-3 win and only gave up six points in their win over Evangel Christian Academy. The defense has some really good football players that give it their all on each and every play. Players like CB Patrick Mensah, LB Andrew Gauthier, DB Jonathan Mestayer, DB Jaylin Armwood, LB Kael Howard, DE Connor Finucane, and DE Elijah Reames have all made big plays throughout this run. There was also another unlikely hero in their upset victory over Evangel and that was Noah Broussard, who scored both of the Bears touchdowns, one on a blocked punt return and the other on an interception for a touchdown. Offensively, the Bears have had their ups and downs. However, when their QB Cameron Dartez is healthy, he has shown that he can move the ball down the field. 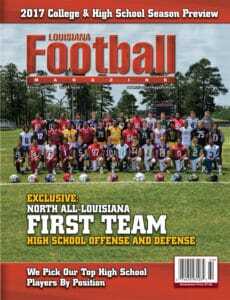 The Bears may not have a star running back like Derrius Guice (LSU) or Edwards-Helaire as the number one running back, but they have a committee of guys that can run the football in Parker Smith, Beau Griffon, L.C. Benjamin, and Conner Leblanc. Also, in goal line situations, they will sometimes use offensive lineman Hunter Monson at H-back as either a blocker or even sometimes as a runner. In the passing game, Dartez’s favorite receivers are Vernon Langley and TE Brandon Hubicz. When the game is on the line, they can trust kicker Preston Stafford, who has a great leg. This is a very underrated Catholic High team that has a lot of pride and passion. If the Patriots are not careful, we can pretty much see a repeat of the 2015 season.